I have a question about How to locate data found in QuickBooks by table and field name inside the QODBC system. 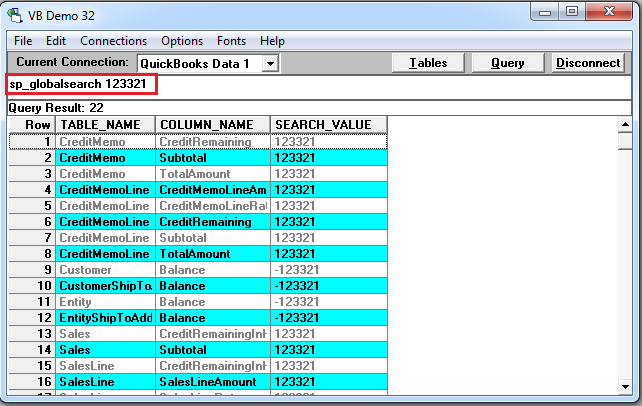 The fastest way to find data in QuickBooks via the QODBC Driver is to use the bait and sync method. Inside QuickBooks, place a unique “bait” value in the field in question such as $findme$ for text fields or 123321 for numeric fields and save the data. 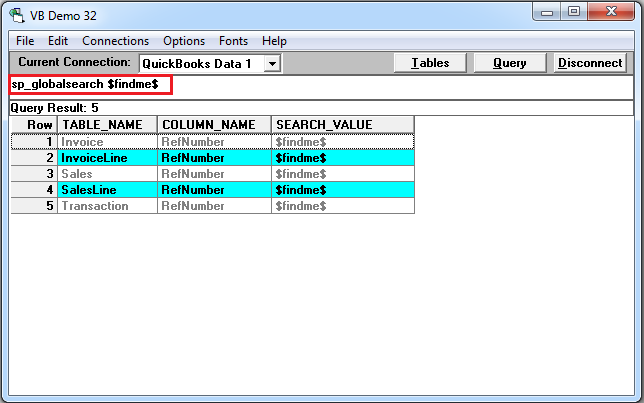 Then start VB Demo connected to this QuickBooks file Refer Connecting QODBC Driver to QuickBooks for the First Time (Video), then do a global search for the “bait” value, the file and field name will be shown if the data is available via QODBC. Please follow below steps to locate data found in QuickBooks by table and field name inside the QODBC system. 1) Add a sample $findme$ to Invoice or bill records (i.e. RefNumber). For Example, We are creating Invoice with RefNumber (i.e. Invoice#) "$findme$". 2) Add a sample 123321 in CreditMemo rate. For Example, We are creating CreditMemo with Rate "123321".